Winners of the 2018 Prairie Design Award will be announced on May 11th at the Alberta Association of Architects Banff Session conference. (Photo by Lisa Rochon). 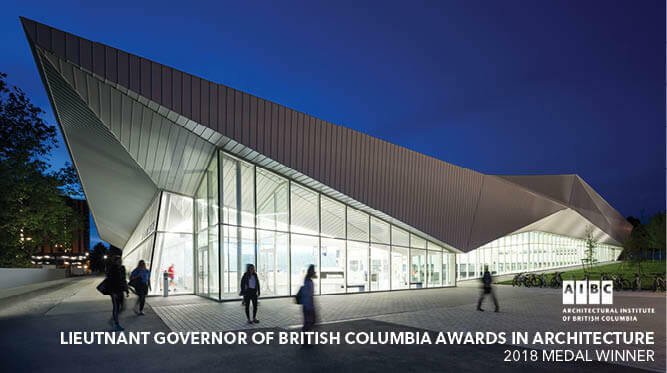 UBC Aquatic Centre wins top medal at the Lieutenant Governor of British Columbia Award in Architecture. Click on the image above to see all the winners. 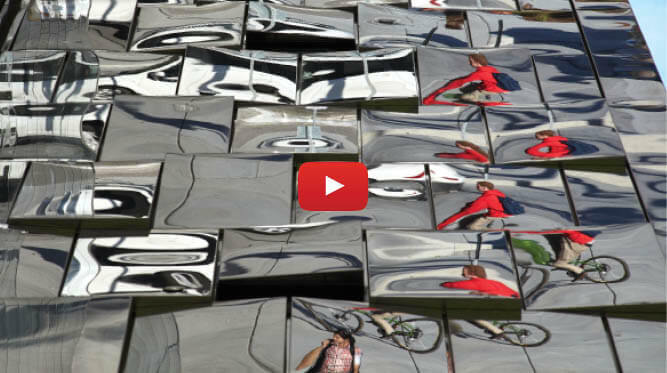 Click on the image above to view a video of the Centennial College Ashtonebee Campus on Dash's YouTube Channel. Azure Magazine has published an article on the universal change rooms at the UBC Aquatic Centre. It describes tackling issues of privacy, safety, and accessibility through design. Click on the image above to read the full article. MJMA & AOA are finalists for a 2018 OAA Design Excellence Award! 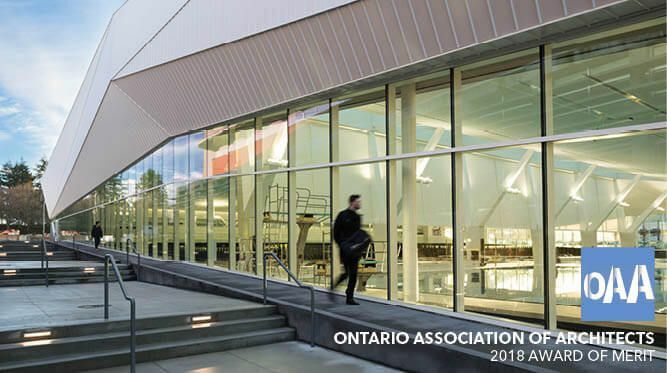 MJMA and Acton Ostry Architects are finalists for the 2018 Ontario Association of Architects (OAA) Design Excellence Award for the UBC Aquatic Centre. 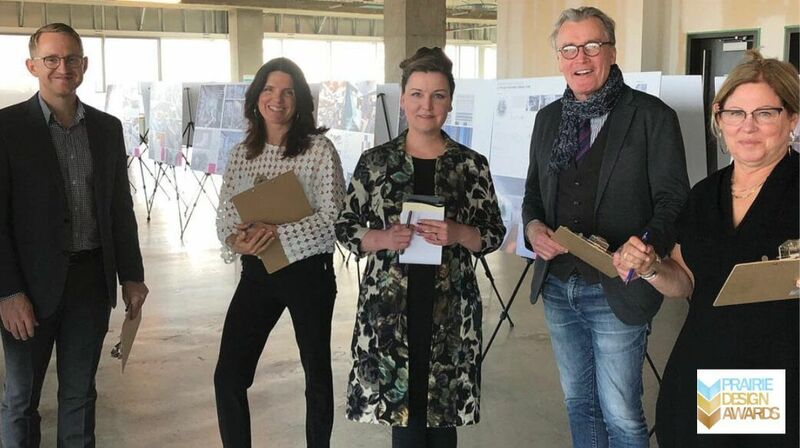 GBC The Arbour Design Competition Public Presentation - Tonight! Thanks to those who have attended. If you've missed out, you can click on the image above to view a streamed version on Twitter, courtesy of Brook McIllroy's team. 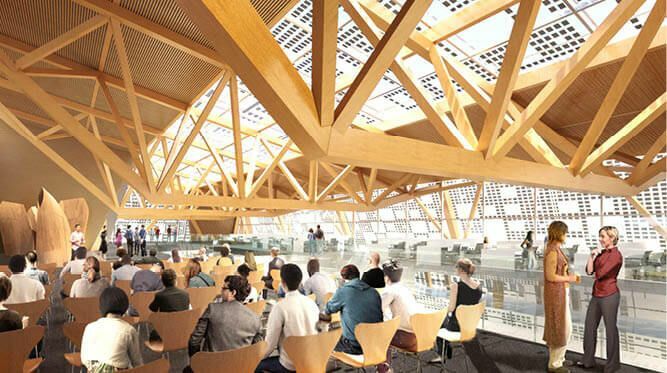 We're excited to reveal our design with Patkau Architects for the George Brown College 'The Arbour' design competition! Come see the public presentations this Tuesday March 27 at 6:30pm at the Waterfront Campus. No RSVP required. 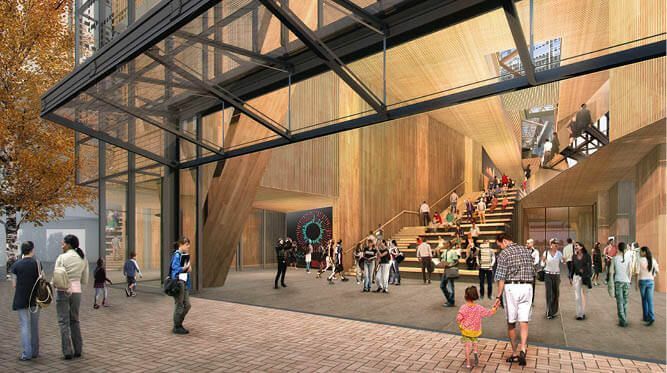 George Brown Colelge is building a 12-storey mass timber building on the waterfront. Click on here for more detail on the teams competiting. Embrace winter! 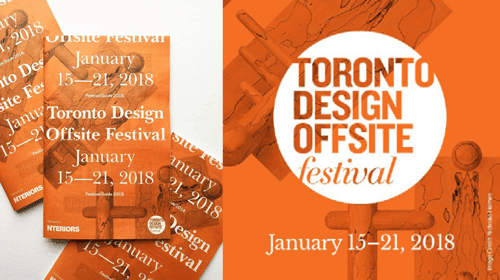 Celebrate design and culture with Toronto Design Offsite Festival this January 15-21, bringing design out of the studio and into the city! 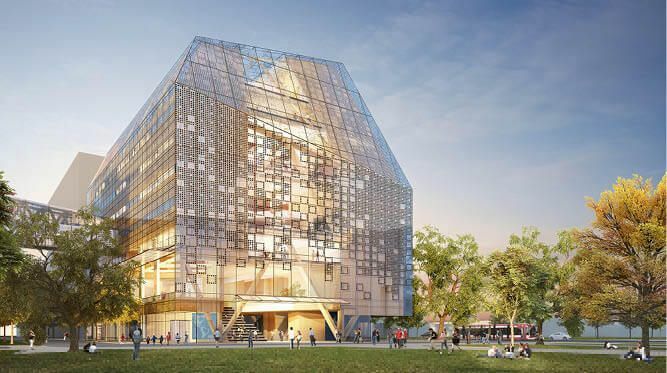 Article in the Globe and Mail by Alex Bozikovic, describing University of Toronto as having the best architecture in the City. 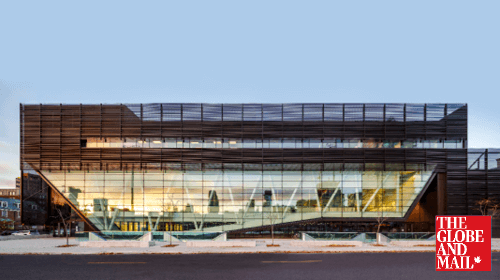 Goldring Centre for High Performance Sport makes the list. Click here to see all the buildings that made the list. 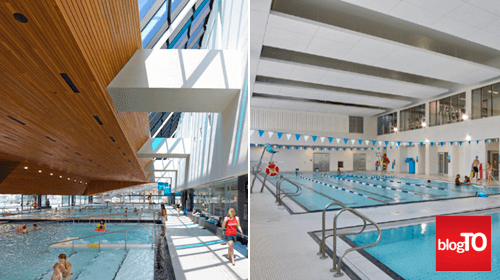 Cooper Koo Family YMCA and Regent Park Aquatic Centre make BlogTO's list of Top 15 indoor swimming pools in Toronto. Click on image above to see all the pools that made the list. UBC Aquatic Centre is listed among Azure's 10 Best Buildings of 2017. Click on here to see all the buildings that made the list.